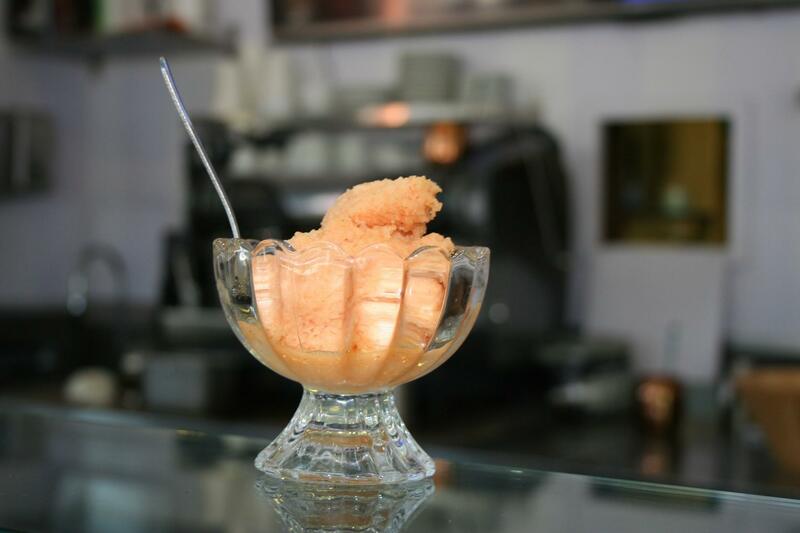 Caravaggio Gelato is an authentic Italian Gelateria located in North Berkeley that makes all of their Gelatos in house and also serves Italian Panini sandwiches, coffee and espresso. About 50% of their orders are to-go. They employ four staff and do anywhere between 100 and 200 transactions per day. Emiliano, the owner of Caravaggio, is from Italy and strove to replicate many practices in his shop that one can find in his home country--everything except for the disposable products he was using, like the 91,250 disposable spoons used every year for tastings and the 24,333 individually wrapped sugar packets to cater to the “to-go” coffee service culture. Emiliano was disturbed to see trash piling up in the garbage can in front of his shop, but he was challenged to find the time to research the reusable products that would be best for his business. The owner believes that the taste of the handmade gelato is much improved by eating it with a real spoon from a real glass bowl. Implementing ReThink Disposable recommendations helped significantly reduce waste and achieved Emiliano's goal to elevate the experience of eating handmade gelato and the ambiance in the shop. While it was not necessary to purchase an efficient ware washing machine, the owner felt it would be beneficial to his business, through energy and water savings, reduced labor time, and a safe and sanitary work environment. The implementation of a new dishwasher cost $2,100, which made the full set-up cost to implement the program $2,411. The high up-front cost of the dishwasher made the payback period for each item longer, yet there is still a significant annual cost savings of $2,301 after the payback period was met to cover and exceed the set-up costs in the future.